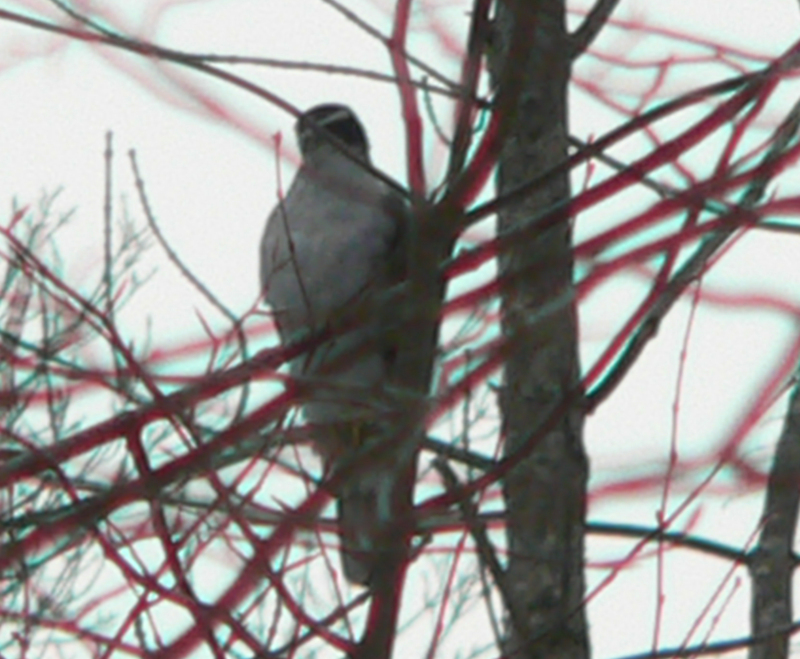 This photo captures a goshawk at long-range using a telephoto lens. This raptor appears to be an adult by its coloring and is quite large at 26 inches long with a wingspan of 50 inches. This hawk has been raiding the bird feeders on our back porch that we put out to attract finches and chickadees. It hasn’t been coming for the seed, but for the small birds and squirrels that frequent the feeder. Seeing this large bird swooping down after its prey reflects the natural world in its savagery. But, it is only living its nature. There is no choice of morality about killing. It is all about survival. Man on the other hand, with our so-called higher nature, can choose, using our ethics, whether to kill or not. It does not have to be in our nature to kill. As a disclaimer, based on my own ethics, I do keep a vegetarian diet (mostly). Tradition and habit are hard to change but I leave that choice to you dear reader. Next Article All you need is art…. So true Roger and the raptor size sounds incredible. Having entered the grocery store business this last year has also at times made me think twice about what “supports my survival”.